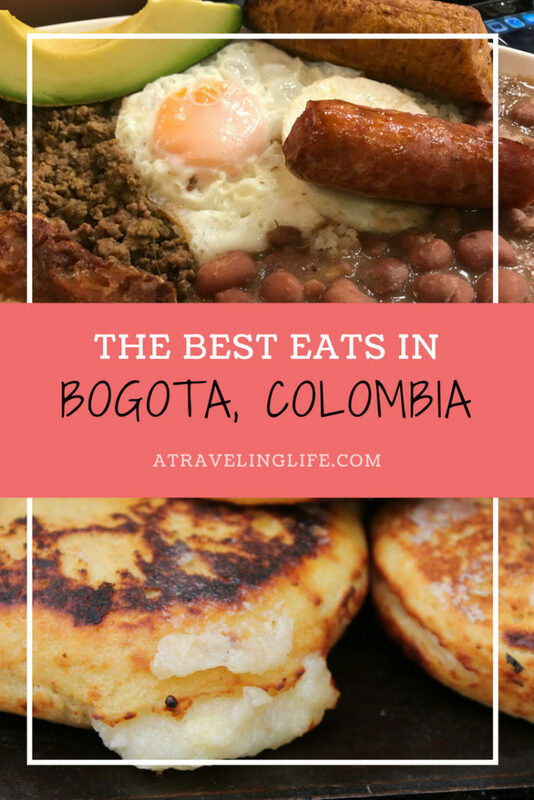 Are you looking for the best places to eat in Bogota, Colombia? 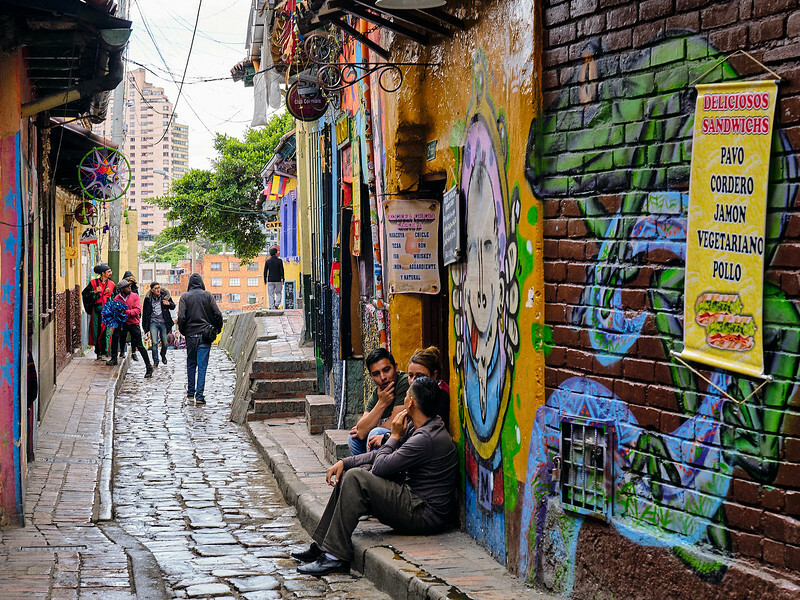 Then check out these recommendations from KJ, a Boston native who runs Trips Travel Agency and spends a few months each year in Bogota. We recently met at a networking event and bonded over our shared love of Colombia. When it comes to food, Bogota is by far my favorite city in Colombia. 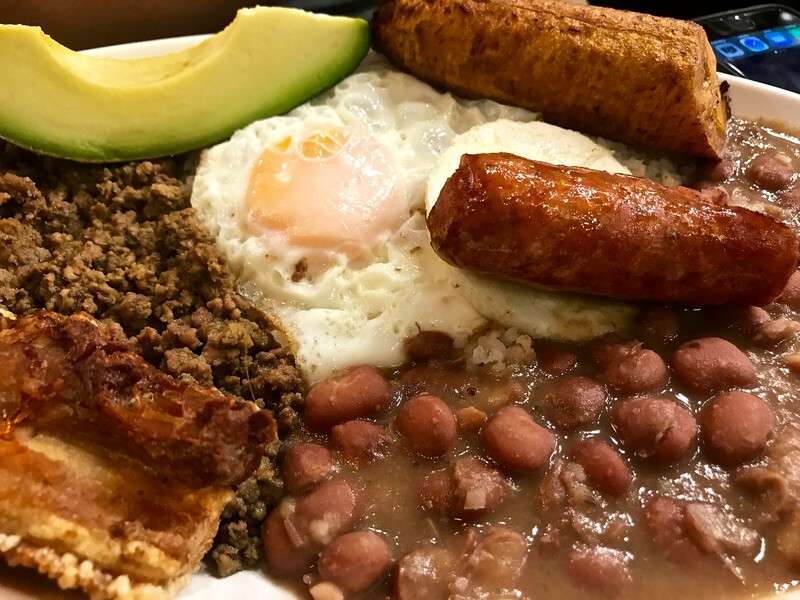 The first thing you must know about Bogota is that you will find really good, inexpensive Colombian food during the lunchtime hours of 11:30 a.m. to 3 p.m. or so. Bogota has a burgeoning workforce, and lots of workers go out to eat during lunch. 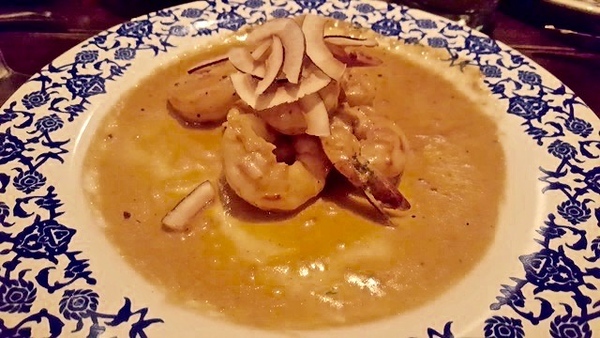 A typical lunch consists of two or three courses, including a soup to start, the main dish of rice and meat, juice – which is refillable – and/or a dessert. There are usually two or three variations available from which to choose. 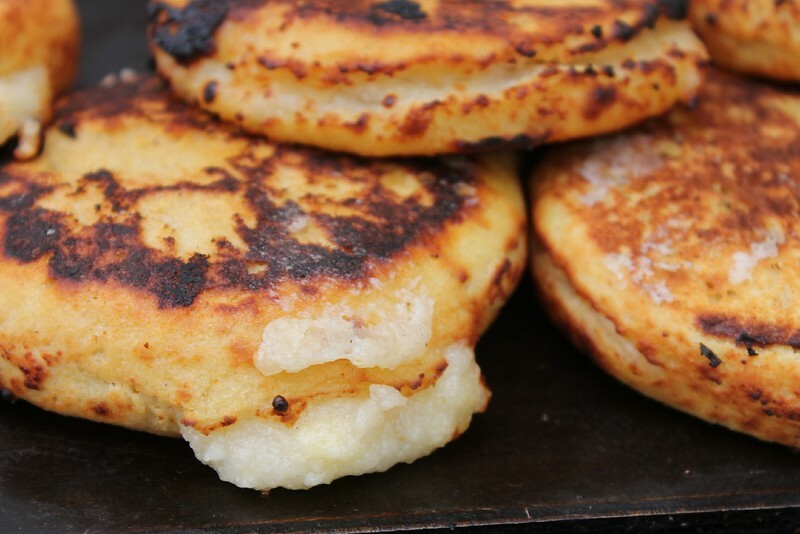 In the evening it’s best to go out to any of the specialty restaurants or go for a snack of arepas. My favorite lunch spot is Savron, located near Lourdes Park in the Chapinero neighborhood of Bogota. The food is always seasoned well and there’s a variety of daily options. It also has great Italian dishes and by far the best lasagna in town. Needless to say the meal is fresh and delicious, and costs about $2 to $5 US. If you don’t eat here around lunchtime, you’ll miss out – it’s the only meal that these places will serve, so they close right after. Wok is one of the best places to find great Asian food in Bogota. It’s more of a regional chain and has authentic Japanese, Thai and Chinese dishes. If you travel to the location in the Zona T, the many floors and sometimes long line can be overwhelming, but there are other smaller locations such as the one on Carrera 9 #69A-75, which is more of a neighborhood location and less touristic. While arepas can be found in every nook and cranny in Bogota, I choose to go to Aki Barranquilla for the yellow corn variety, typically found in the Caribbean coast of Colombia. This makes a great, filling snack for the evening if you don’t want to go out for a full meal. This twice-fried round of yellow corn is filled with an egg and either beef or chicken. Grab two and a cold beer, and you’re set for the night. Get there at least by 7 p.m. as they do close around 8 p.m. If you’re touring the Candelaria area and need a quick, easy bite before you venture to the National Palace, stop and grab an oblea from one of the many vendors that are stationed on 6th Avenue. The flat rounds of goodness are slathered with your choice of spread and pressed together for an easy-to-carry dessert as you walk about town. 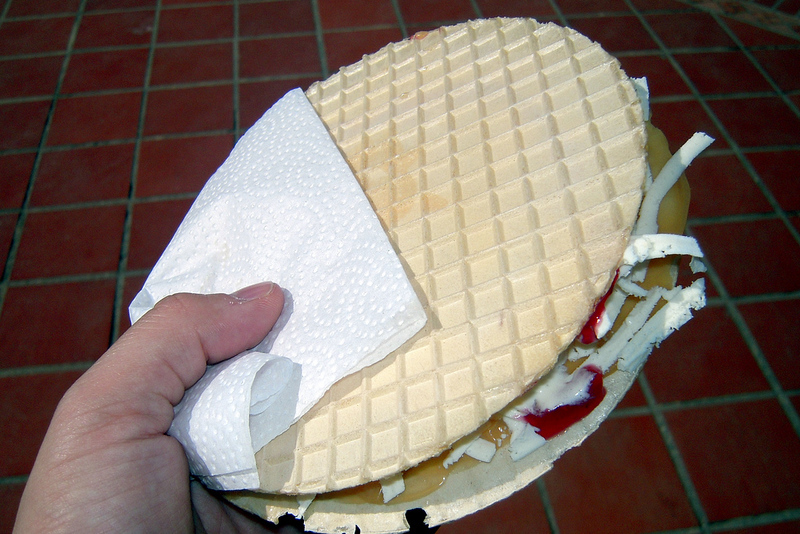 I usually choose arequipe, but there are options for jam, shredded coconut and more. Want something a bit more special and upscale? Try Club Colombia by Harry Sasson. I like this spot because it’s on a much more quieter street and has a more romantic vibe than his other restaurants. The food, of course, has never disappointed. If you weren’t able to catch a table at Andres DC in Bogota or Chia, a Bogota suburb, be sure to try the new outfit in the airport on your way out of the country. El Dorado Airport underwent a mega renovation and added many new dining facilities, with Andres being one of them. However, as I found out recently when I wanted to order my usual pitcher of sangria, you won’t find the behemoth menu you do at the other locations. 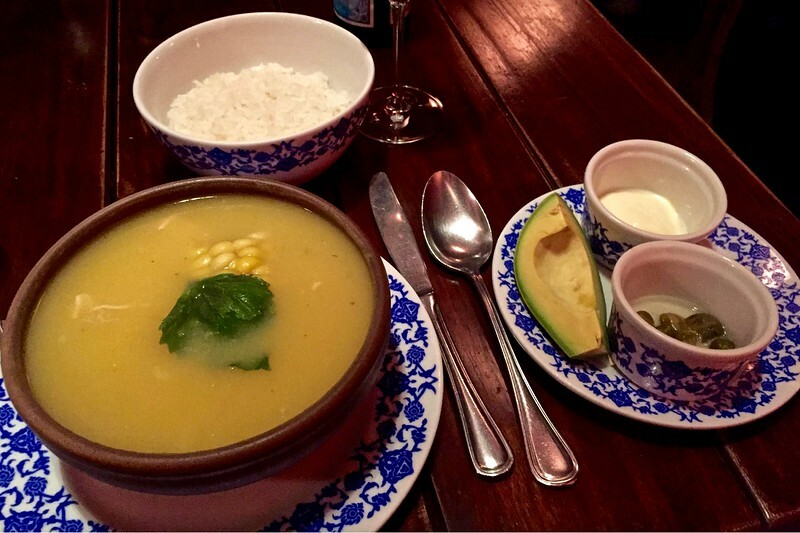 What do you think are the best places to eat in Bogota? 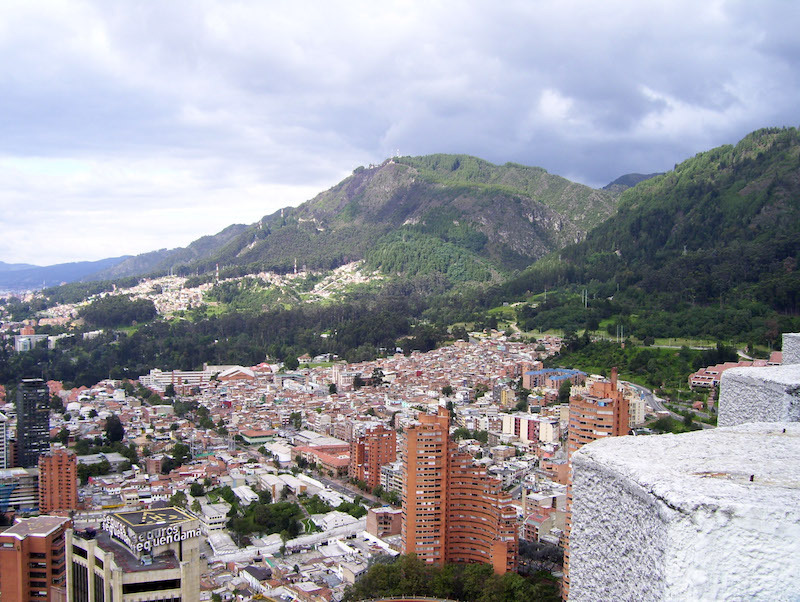 If you’re interested in planning a trip to Bogota, check out this practical post by my friends Alex and Bell of Wanderlust Marriage, who recently spent their anniversary there. This is the eighth post in the “My Favorite Food Town” series. Check out the previous post on Bridgetown, Barbados. 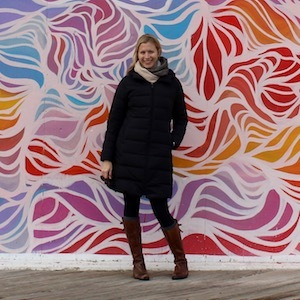 Nice article by KJ and thanks so much for including a couple of our photos and for the mention, Brianne! The arepas in Bogota are absolutely fantastic. We enjoyed some wonderful ones from a street vendor in the Candelaria. We really enjoyed our dinner at Club Colombia. 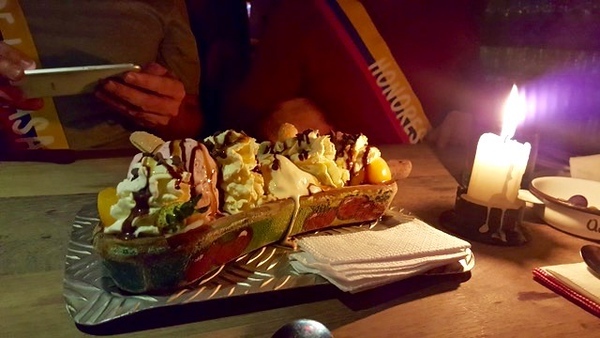 It was probably our favorite meal in Bogota for the quality of the food and romantic ambiance. I had a delicious steak there that reminded me of being back in Uruguay (where I had the best steak I’ve ever eaten) and Argentina. And it was such a great value compared to what we would pay for the same type of experience in Washington, DC.